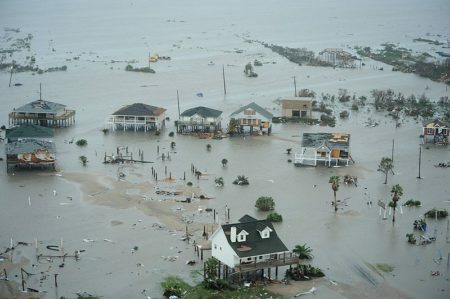 Hurricane Harvey makes landfall on the Texas coast on August 25, 2017. In the year since the historic storm, flood control officials have promised to change that, and they already had plans to redo the maps, but new data on the geography of the area and the amount of rainfall forecasters expect in the future means the new maps could look drastically different. It’s crucial the maps are done right, as people are using the maps, meant to set flood insurance premiums, for more than they are intended. At the beginning of this year, planes equipped with LIDAR flew over the entirety of Harris County, taking in high-resolution topographic data of the area. 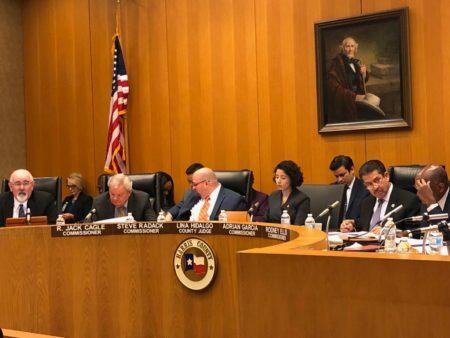 Matt Zeve, deputy executive director at Harris County Flood Control District says the data gathered from the LIDAR scans will take the rest of the year to process and make usable. The LIDAR data is not the only part of the mapping effort that will take a while. Zeve says he doesn’t expect the new maps to be done until 2023. “The first step is understanding that topographic data, and then going out and we do actual real live, with people, surveying on all the bridges over all the channels that we model,” Zeve said. Engineers must then put surveying and LIDAR data together, readying it for modelling with rainfall predictions. “It’s an incredible amount of effort, and folks don’t like to hear how much work it is, but all it takes is just, sit, follow an engineer who’s working on one of these for a week and see what he or she is doing and the amount of time it takes and the amount of checking we have to do because what we put out to the public has to be as high quality as possible and then you’ll get an understanding of how long this process takes,” Zeve said. Once flood control officials have an accurate picture of the ground, they’ll have to put that together with data on what’s coming from the sky. In September NOAA released the latest volume of Atlas 14, a rainfall study which predicts the frequency of rainfall for an area. As Matt Zeve says, the results for Harris County were staggering. “I remember when the first review draft was made available and we looked at it and I did say a bad word,” he said. 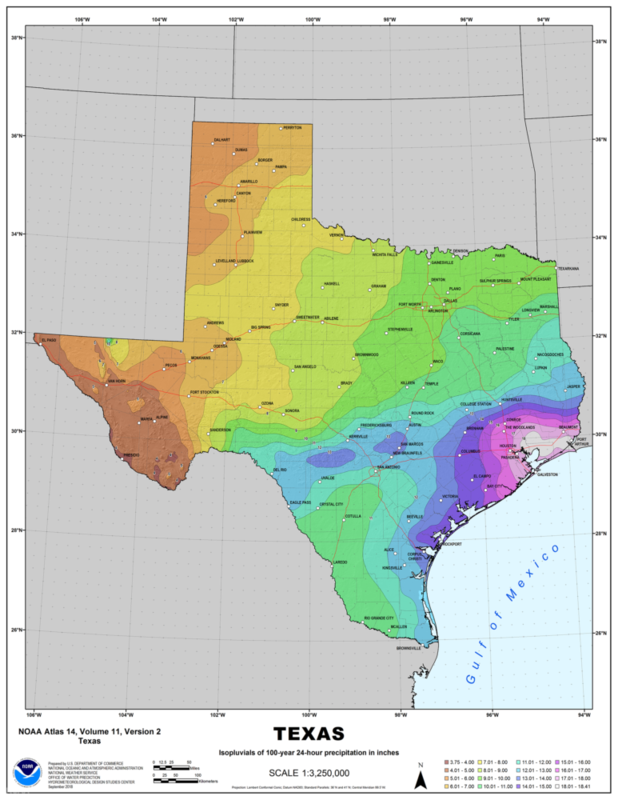 Graphic of Texas shows the updated rainfall values in inches that define certain extreme events, such as the 100-year storm. The key takeaway from the latest Atlas 14 is, in the Houston area, a rainstorm that had a 1 in 100 chance of occurring in a given year now has a 1 in 25 chance of happening. Essentially what Atlas 14 says is Houston can expect rain more frequently. Mark Glaudemans is director of the National Water Center Geo-intelligence Division. His team is responsible for putting out Atlas 14, and he too says the new data could be a wake-up call. “That’s significant. My qualitative assessment is that is probably more than we’ve seen in other parts of the country. I certainly immediately felt that this was information that’s going to get a lot of scrutiny, get a lot of attention, and not just be a mundane government study that was released,” he said. With continued development in the area, that is, more concrete and less absorbent ground soil, flood control officials are expecting just about everything to change. “There are a lot of implications to that,” said Matt Zeve of the Harris County Flood Control District. “We’re working through how to communicate those implications to the public, to our local leaders, and help people understand that these new maps may show them in a floodplain when they’ve never been mapped in an effective floodplain, ever,” he said. It’s crucial that these new maps are accurate, and that flood control officials take the time to make sure they’re accurate. Floodplain maps were originally intended to set flood insurance premiums, but people have started to use them as a guide to whether or not they’ll flood. Just before a storm, people could be making life or death decisions based on them. 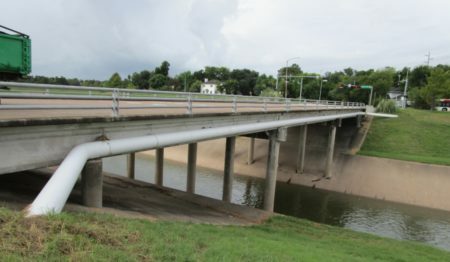 Since more people are relying on the floodplain map for different reasons now, the Harris County Flood Control District is also adding a second map that will show “local hazards” like overland flooding – flooding outside of a bayou overtopping – as well as results of releases from the Addicks and Barker reservoirs. The maps aren’t expected to officially come out until 2023, but drafts of different areas will roll out in the meantime.